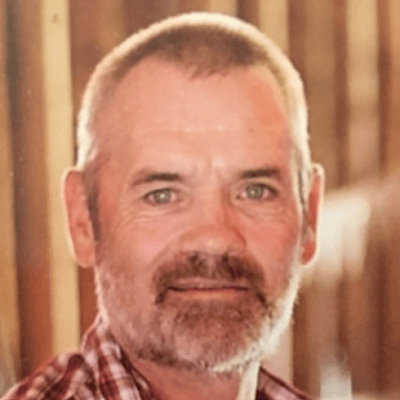 Ronald Melford "Ronnie" Holmstrom, 54, of Cameron passed away, February 2, 2019 at his home. He was born May 8, 1964 in Rice Lake, WI to Melford and Janace (Penzkover) Holmstrom. Ronnie was raised on the Holmstrom family farm near Barron and graduated from Barron High School in 1982. He was employed for many years with local farmers within the surrounding areas. He also helped his brother on his farm when needed. He worked at Kutrieb Inc at Chetek, and Excelsior Mill in Rice Lake. Ronnie loved tinkering with small engines and lawn mowers. He did snow plowing and lawn mowing in recent years for others. Ronnie enjoyed being outside. He loved campfires and doing outside projects with his lawn equipment. Many family and friends would stop to socialize. He was always wheeling and dealing to connect people and was willing to help someone anyway he could. Ronnie was a father figure and friend for Nate, Nick, and Noel throughout their lives. He is survived by: his mother: Janace (Dave) Keach of Barron; siblings: Debby (Roger) Gardner of Barron, Becky (Brad) Knutson of Dallas, WI, Danny (Linda) Holmstrom of Barron, Bonnie (Brian) Chermack of Barron; nieces, nephews, cousins, and many other family and friends. He also leaves behind his beloved dog, Luna, who served him loyally. He was preceded in death by his father, Melford Holmstrom; maternal grandparents: Clem and Rose (Seitz) Penzkover; paternal grandparents: Casper and Rose (Peterson) Holmstrom; aunts, uncles, and a cousin. Ronnie's Celebration of Life will be on Saturday, February 9, 2019, from 2 PM - 5 PM with a service at 2:30 PM at Buck n' Beams, Cameron with Pastor Ron Mathews officiating. A private family burial will be held at Wayside Cemetery in Barron in the spring.